For the marketing of your business and to connect with the audience first you should know what is inbound marketing? Inbound marketing is used to engage you with your audience by using content through search engines or by sharing links with friends. Approach to inbound marketing has the advantage of reaching those who have already take the step towards purchase. Inbound marketing is best for those consumers who are already searching the information about product. 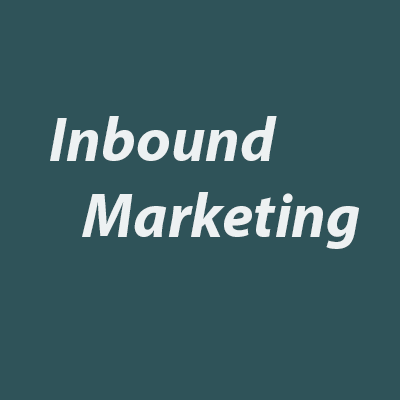 So now we are familiar with what is inbound marketing. Now we see that where is inbound marketing can be used. Inbound marketing can be used by any business that is working on internet. But inbound marketing is best for those organizations that are work in multiple field. Non-profit organizations successfully used inbound marketing materials like social media campaigns. These campaigns provide an easy approach to those customers who really want to get information about any kind of product. Inbound marketing is used not only for business and social media campaigns but it is also used in political campaigns. Infarct political campaigns are the big users of inbound marketing. In both cases audience give best response to inbound marketing because through this they can get information of any type they want to get i.e. about social or political affairs. After knowing what is inbound marketing and where it can be used. The next thing is that what the strategy we can adopt for inbound marketing is. You have to make an ideal strategy for inbound marketing by keeping in view the following things. Before making any strategy or make any action on this strategy makes sure that you have made a perfect plan for inbound marketing. And to make a perfect plan first you have to make your goals. And after making your goals and perfect plan then it’s time to make action for your plan. Before acting analyze your plan to see that whether your plan is effective for your audience or not. It is necessary to check your plan and related things to your strategy after regular intervals. After analyzing you have to revise your strategy before implementing to your marketing plan. It tells you about the effectiveness of your inbound marketing strategy. Now you are ready to implement your marketing plan to your business and you will see that your inbound marketing plan proves best for your business. We all know that social media is a best source of promoting business and marketing content. But every social media network provides their own social media buttons. And it is difficult to know for everyone to know which social media button is used for what purpose. Mostly used social media buttons are follow buttons and share buttons. To find the difference between social media follow buttons and social media share buttons you must know about what purpose these buttons are used. These social media follow buttons are very helpful to promote your business and marketing content. And help you to increase your followers by placing these social media buttons on your business website. Social media share buttons are used to share your content on social media networks. By the use of these social media buttons you can extend your content to great number of audience and can increase traffic on your website. Social media buttons are used for every social media network like Twitter, Facebook, Google + and LinkedIn. We shall discuss all of these buttons here. Twitter use both social media follow and social media share buttons. Social media follow buttons for twitter are used to increase the number of followers on Twitter account. And social media share buttons are used to share the marketing content with visitors. This can make an easy approach of site visitors to share content. There are other social media buttons used for twitter named as hashtags buttons. These buttons are used to encourage visitors to tweet for special marketing campaigns that you are promoting. Like twitter facebook follow buttons are used to increase your Facebook visitors to like your business page on Facebook. Facebook share buttons enables you to share your content on timeline of your visitors. From this visitors can also comment on the contents or can share it with other visitors. In this way visitors of your Facebook business page are increases. Follow buttons of Google plus enables the users to add your business page on Google plus without leaving your site page. These buttons help you to promote your business on Google and you can increase your followers. Share buttons for Google plus are used to share the content on Google by increasing the number of audience on your business page. Social media buttons both (follow and share) are used to share the marketing content and increase the number of followers on your LinkedIn page. Social media buttons are very helpful and play an important role if you want to promote your business on social sites. With the help of social media buttons you can increase the number of visitors on your business page and can easily promote your marketing content on large scale. 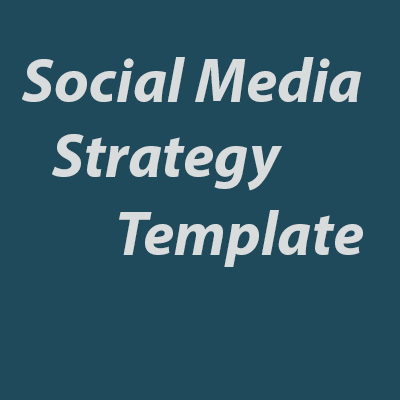 One of the most common resources discussed online is Social media strategy template. We recently published so many blogs that tackle the planning of digital marketing campaigns and give the reasons that why users want templates for social media strategy to help them. So first of all you have to know about social media marketing. Social media marketing is a process through which you can gain attention of more people or traffic through many social network sites. Following steps are used as social media strategy template. You should know to set up the twitter page, LinkedIn profile and Facebook page. In this situation analysis you have to answer the some questions about your audience, resources to deliver content to target audience and about the social networks that audience use more. For social media strategy template it is also necessary to set the goals. Make some plans to reach those goals and also some descriptions of not achieving these goals. Social media strategy templates set those goals that based on the factors which can get more traffic from special social network sites. Social media strategy templates are not different from any other strategies that can be adopted to achieve your goals. Mostly social sites are used for different purposes like facebook is the most popular social networking site for communication but according to B2B marketing LinkedIn is most popular and more using social site. Within the specific social site there are also different ways to communicate with or to deliver content to your audience. With this you also have to tell why you are delivering this content by using this site? 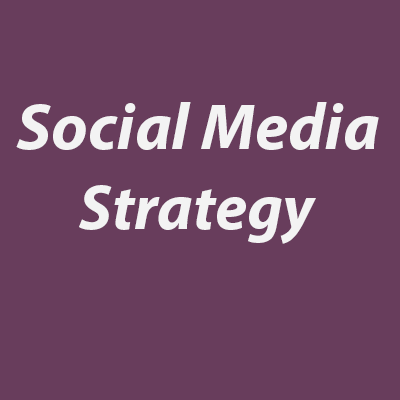 Think about social media strategy template and make some useful objectives. Make sure that these objectives are specific, measureable, achievable, according to audience interest and time consuming. Social media strategies follow some tactics like what type of content you are promoting through social media sites and in what time. You have to visit those social networking sites that are famous among audience. These social media strategies and tactics are the basic source that is discussed in online group for social media strategy template. Social media campaigns is such process due to which any business or company owner use different social network sites to promote their business, brands and products. For this purpose business owner such as you adopt different successful social media campaigns to promote your products or brands. Most of the people can be targeted through these social sites to visit your site which they can search from search engine. The main advantage of using social sites to get the traffic is that this is low cost method to increase the number of customers. Successful social media campaigns are such campaigns that require good involvement from both sides to make the strong relationship between you and your customer. 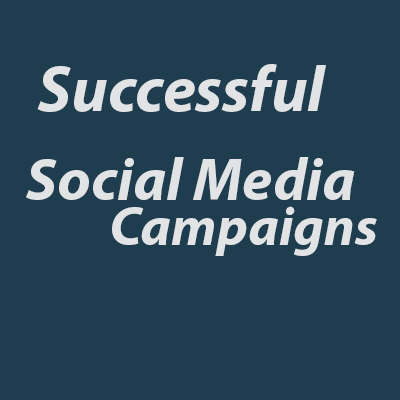 Successful social media campaigns also require some things that you have to keep in mind before starting the campaign. First of all you have to focus on what your audience wants from you and your company. You have to know what products and brands are famous among people and what qualities they want in your product. If you know the basic needs of your customers only then you will be able to fulfill the customer’s requirements. For the successful social media campaigns post informative and entertaining updates about your company and products that proves to be useful for your customer. If you post regular posts then you will get the attention of your customers. Creation of strong relationship between you and your customers is a most important part of successful social media campaign. You can make this relationship by posting updates regularly according to the interest of your customers that they want to read. You can use this information to update and entertain your customers. And always comments on the feedback of your customers. Main part for successful social media campaigns is to hire of an SEO service company for the consistent messages to inform your customers. It is the best way to convey messages on different sites to update a large number of customers. To get a large traffic we know social sites are used. These social sites play an important role to involve a large community in the successful of social media campaign. These communities spread the company’s or brand’s information to all those customers who are miles away from you. Hire an SEO service and social media communities update your sites with new information of brands and products. Be aware of what you are posting in your site and answer the customer’s questions. In this way you also attract the attention of your customers and you can also increase the sale of your brands and products. Social media optimization was made to drag traffic from social media sites such as social networks. But now social optimization is more important because performance of SEO is improved just because of social media optimization and SMO also drive traffic from direct social sites. Social media optimization is very similar to search engine optimization because the main purpose in both is to generate awareness for website and traffic. Social media optimization becomes more important for search engine optimization day by day because search engines increasingly use the recommendation of social network users such as Facebook, Google plus and Twitter to rank the result pages in search engine. SEO does not concerned for quality of content but SMO focus on the quality of content. That’s why social media optimization improve the performance as search engine to increase the ranking of result page. One can improve their social media optimization by the following ways. First of all develop your reliable reputation. It means you have to focus o the quality of content and produce original content. Your reputation can help you to improve social media optimization if you are sharing your content and engage other people through discussions and by helping others. Second you need to engage the other people by liking, commenting and sharing. You should target the network through which you want to interact with the people and that is the easy way of interaction. People have to make different accounts through these accounts they can comment on your content. Third aspect is very important that is authority. Search engine are always interested in knowing what people and brands are more trusted by other people through internet and on social networks. You have to be prominent on social networks. The best way for this is Google Authorship. With the help of Google Authorship you can show your profile prominently in search results. You can also improve your authority and your content by sharing on Twitter, bookmarks and Google plus. Leadership is also a way to improve social media optimization (SMO). This quality helps you to find the interesting topics of contents that audience wants to read on social network. The other way to improve social media optimization (SMO) is to build good quality social networks for this you have to focus on quality rather than quantity. So we can say that it is the best way of interaction and to engage the people on large scale. Another way for social media optimization (SMO) is to select the best media platforms. You have to target the media platform through which you can easily interact and can engage the people. One of the most effective platform that improve the SEO benefits of social media optimization (SMO) is Google plus. 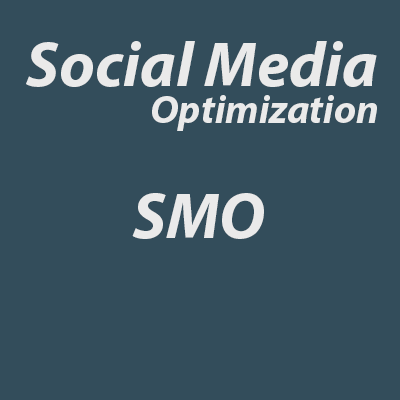 Optimization is another step for the effective working of social media optimization (SMO) is to focus on technical aspect to improve optimization. So through all these things you can improve the working of social media optimization (SMO). And also you can drag the traffic from social networks. The basic source of online marketing is social media. For online marketing everyone have their own goals and objectives that help your social media strategy to connect to your customers successfully. So you have to make your goals for social media strategy that it starts working successfully from day one. With these goals you will get a direction which guide you that where you have to go. Mostly every company has their own goals but mostly companies have few goals that include in their social media strategy. These common goals are increase the number of customers and band awareness among people etc. The second step of social media strategy is to identify your ideal customers. For this you must know about your audience likes and dislikes. If you know all of these things about your customer then it will easy to target your audience on social media. When you start social media marketing then you have to research your competitors. This knowledge not only keeps you aware about your competition but also give you different ideas to fast your efforts for your social media strategy. Pay attention to content that your competitors post daily. This research competition informs you about the interest of people and you can know what type of content customers want to read. Due to this you can write your content according to the customer’s interest. And can make your social media strategy more successful by the comparison with your competitors. You should choose the best platform for the marketing of your business which is very famous among people and give you the most returns. Most of the companies make accounts on those sites without searching that these sites will give the most returns or not. So you have to research which site is best for marketing and more visited by the people. This will save your time. There is a strong relationship among social media and content. Without social media nobody will know about content and without content social media is meaningless. You have to use both together to reach your goals and objectives. You can make your social media content strategy successful by the type of content. So you have to make strong type of content and find the correct time and frequency of posting to get the good result of social media strategy. For the social media strategy you have to make your own budget by keeping in mind the resources of your business. This budget is made according to your resources limit. If you have large number of resources then your budget should be high and if your resources are low then your budget should also low. After all of these the need is to assign the roles and duties of people working in a company. Everyone should focus on their work without interference in any other’s work. In this way everyone can give their best work for company’s betterment that gives great success to your business and company. This is the best way to make the successful social media strategy. When customers go for shopping then they have so much time for investigation about products but one thing can save their time and give them all the answers what they are trying to find out. And that answer is branding. A brand name of any product can tell about the quality of product and about company’s reputation. 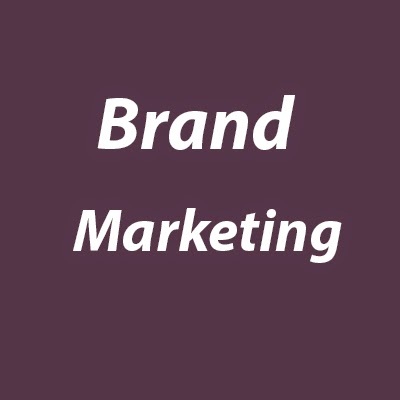 Brand marketing is done by the name of brands for each product. Brands name help you to find the quality of products and help you to save your time in shopping. From these brands name you can find who they are, the reputation of company and other facts about company. If you use the product of same brand before and you are also satisfied with it then you will definitely buy that product of same brand but if you are not satisfied with the brand then you will think twice to buy that product or you not buy the product of same company. Brand marketing effects the decisions of customers for both about business and products. With the brand name customers make their perception by their experiences. These brands name will provide knowledge to the customers about the company. If the customers experience was good then they have good image for the company providing same brand and if the customers experience is bad then definitely customers have bad image for company. In both cases, customer will have a complete awareness about company and brands and in both cases customer will save their time and energy for investigating the company and also this makes very easy for the customers to decide what brand products they have to purchased. Like all other marketing for the promotion of brand marketing different campaigns are developed that can increase the knowledge of customers about the reputation of company and brand. This can be done by the way of communication because this is the best way to increase the awareness of customers. Communication can be done by company website, business cards and e-mail address etc. communication help you to change the perception of customer. A poor product quality can affect the customer’s perception more than that of good quality of product. A little deficiency can affect the company’s reputation, brand and all the products. But a good and regular communication of company and customer can increase the brands popularity and also increase its sale. A company should make some goals for brand and company. They also should develop some campaigns to achieve their goals successfully. For example companies always want from their brands to represent their company and make a good image of their brands in the minds of their customers. So these will help the companies and brands to increase the brands popularity and sale of the products.